Customers with DBS debit card will now be able to make contactless payments using the Samsung Pay feature in their smartphones. Samsung has partnered with DBS Bank India (DBS) to announce that the latter's customers will now be able to make contactless payments using their Samsung smartphones. “Millions of customers in India have fallen in love with Samsung Pay. Samsung Pay is simple, secure and its biggest USP is that it is accepted almost everywhere a user can tap or swipe physical cards. Our partnership with DBS Bank will further enable more users to make seamless digital payments in a secure manner,” Sanjay Razdan, Director, Samsung India, said. 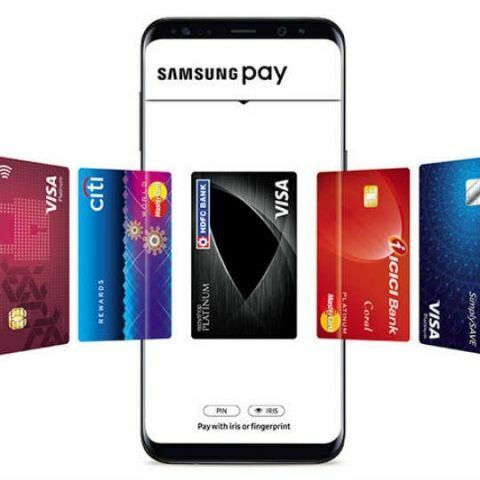 Samsung devices which supporting the feature can be used for making payments at NFC enabled PoS terminals as well and DBS customers can avail the facility by validating and scanning their debit card on select Samsung mobile phones. DBS Bank India (DBS) today announced its partnership with Samsung Electronics for its payment platform Samsung Pay. This partnership will enable DBS debit cardholders to make contactless payments using their Samsung smartphones. With Samsung Pay, DBS customers can widely use their smartphones (for payments) as majority of Point of Sale (PoS) terminals in India are Magnetic Secure Transmission (MST) enabled. In addition they can also use their smartphones at Near Field Communication (NFC) enabled PoS terminals. “Millions of customers in India have fallen in love with Samsung Pay. Samsung Pay is simple, secure and its biggest USP is that it is accepted almost everywhere a user can tap or swipe physical cards. Our partnership with DBS Bank will further enable more users to make seamless digital payments in a secure manner,” Sanjay Razdan, Director, Samsung India, said. DBS customers can avail this facility by scanning and validating their debit card on select Samsung mobile phones. Is samsung tizen z3 good to use?